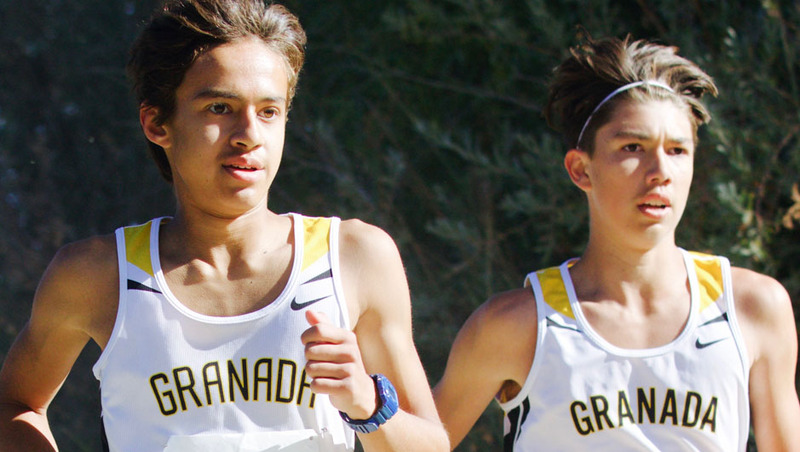 The Granada Matador Cross Country Team enjoyed cooler temperatures, an epic venue, and fast times in Golden Gate Park on Saturday during the Lowell-San Francisco Invitational. 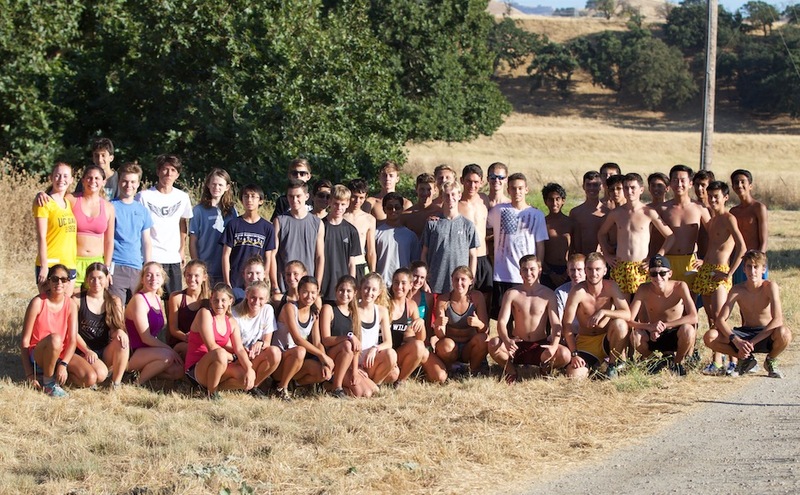 Despite facing strong competition at the meet, the Mats often came out victorious with two first time race winners and four team victories. 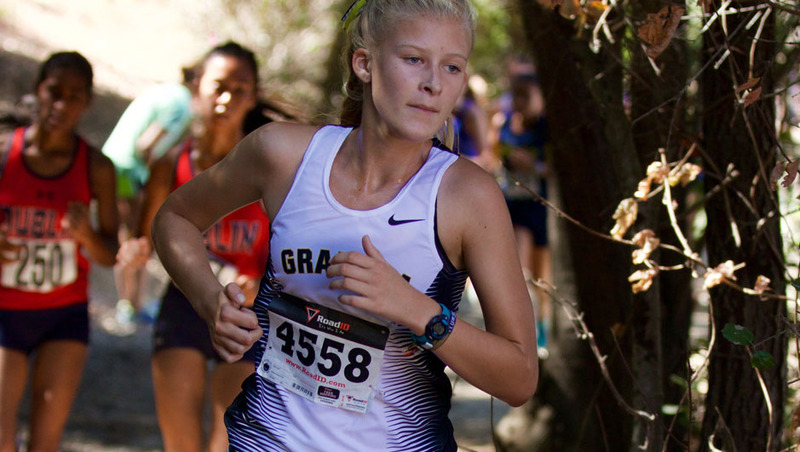 Freshman Shae Hill, in her first high school cross country race, won the Frosh-Soph girls 2.13 miles race by out kicking a girl from Granite Bay in a time of 14:03. 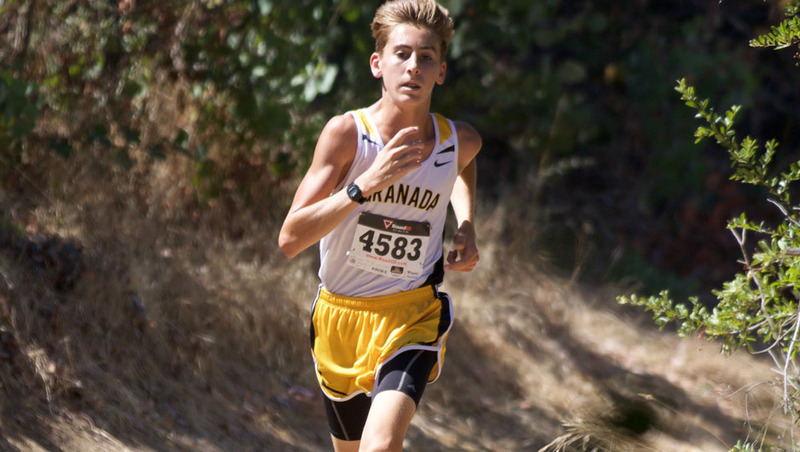 Later that day, Junior Joshua White won the Non-Varsity 2.93 miles race with a commanding lead in a blazing time of 15:16. Congratulations to our race winners; winning a race is truly a special and unusual thing. 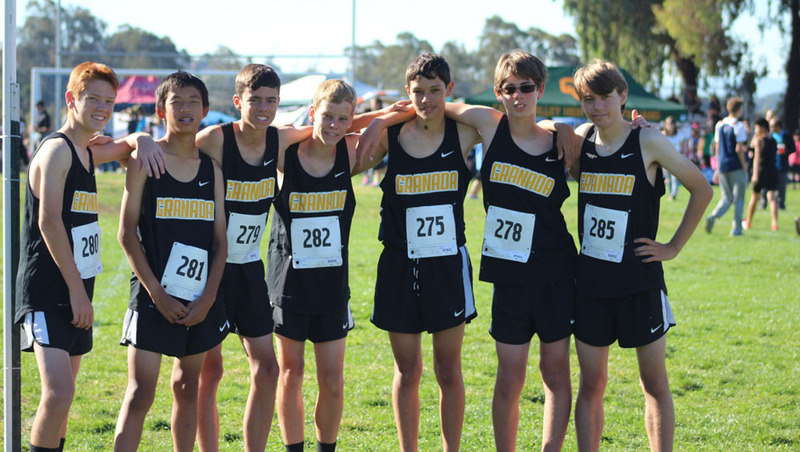 The Freshman boys made their debut in excellent form with the team averaging 13:43 (first five runners are scored for each school). 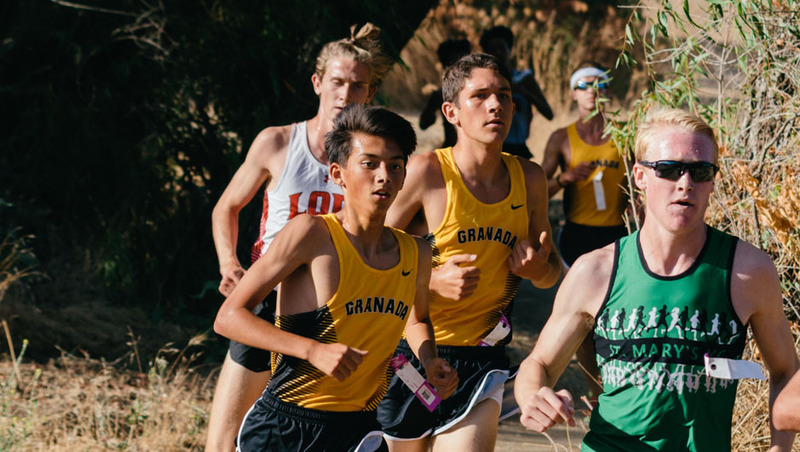 Top 50 finishers included: Feoden Soriano finished 5th, Mark Bennett in 25th, Sean Taulbee 32nd, Jacob Bryant 39th, Kelly Galicia-Thomas 40th, and Cody Ojeda 50th. Overall the team placed 4th of 23 schools. 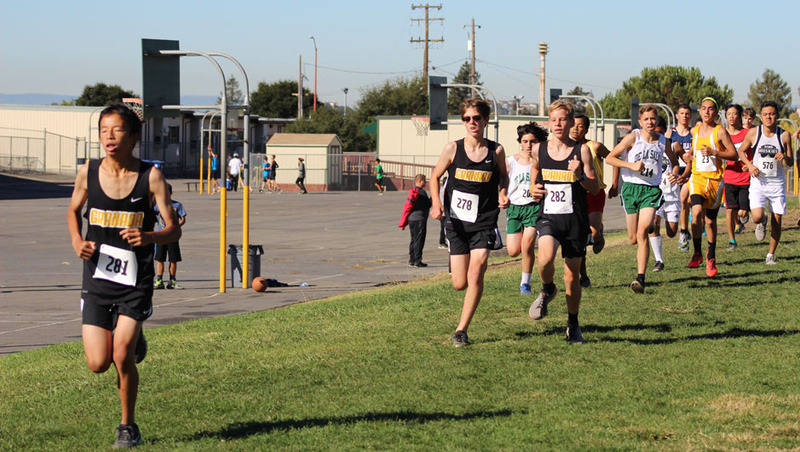 The Sophomore boys performed well as a team despite missing three members that were promoted to either varsity of the non-varsity race. The boys team finished 9th of 19 schools with an average team time of 13:35. 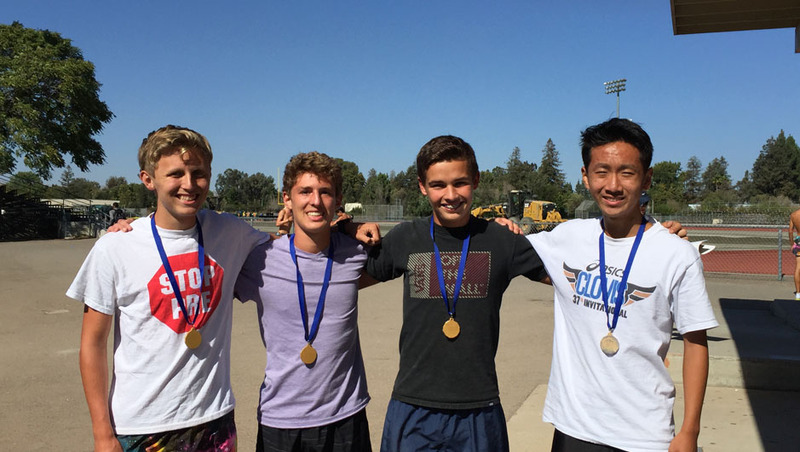 Top 50 finishers included: Thomas Mennink 20th, Rocklin Dhaliwal 44th, and Cameron Gray 47th. The Non-varsity boys had a tough situation as last year that team went 1-11. 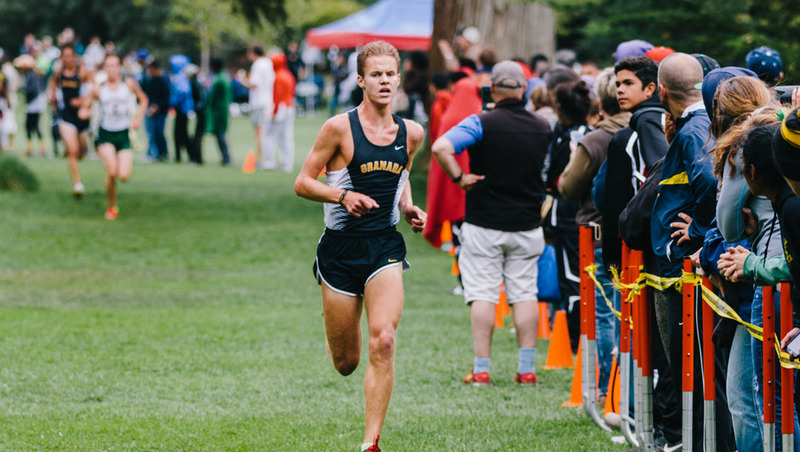 The race did not disappoint as Josh White dropped an amazing run in a rounded up time of 15:16 which is good enough to be one of the top performers in the meet at the varsity level. Teammates Matthew Reddick and Shlok Bansal finished 2nd and 3rd, respectively. Senior Andrew Walker threw down a sub 16 minute performance as well for 5th place. 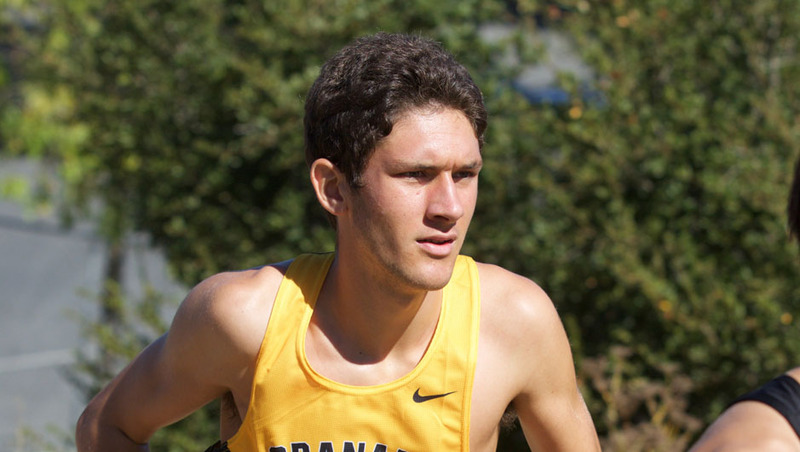 Other top 50 performers included: Yarin Dan 14th, Anthony Guerra 17th, Andy Lau 19th, and Kevin Plant 35th. Overall the team placed 1st of 21 teams in varsity quality 2.93 mile team average time of 15:50. The Varsity boys had a huge race and had to face two of the top ranked teams in the state and nation. Bellarmine boys ranked either 4th or 6th in the state and 13th or 14th in the nation depending on your sources seemed like the clear favorite to win the meet. Palos Verdes was the other state ranked team (10th or 19th depending on sources). 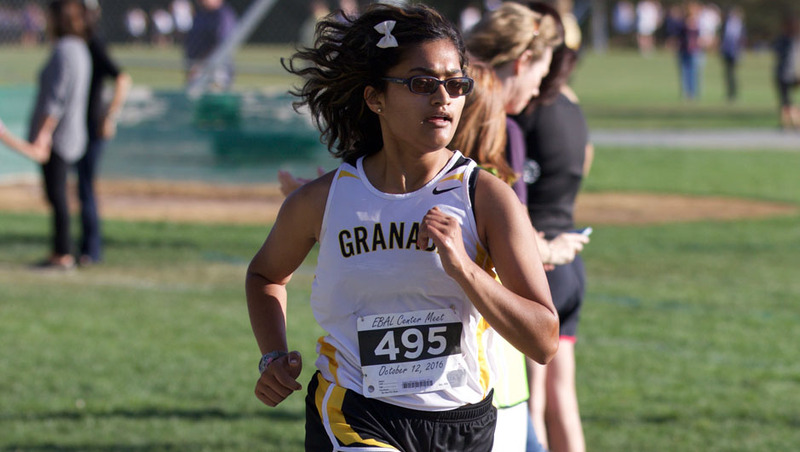 Granada was mostly considered an honorable mention and seemed unlikely to challenge for the win. The big surprise was that the Matador boys have had a terrific summer of training and were well prepared to take on the challenge. 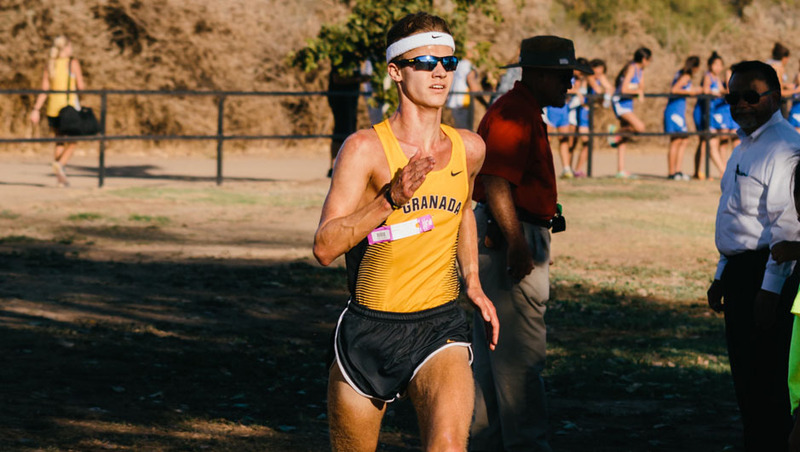 John Bennett was the race runner-up in a stellar time of 14:34. 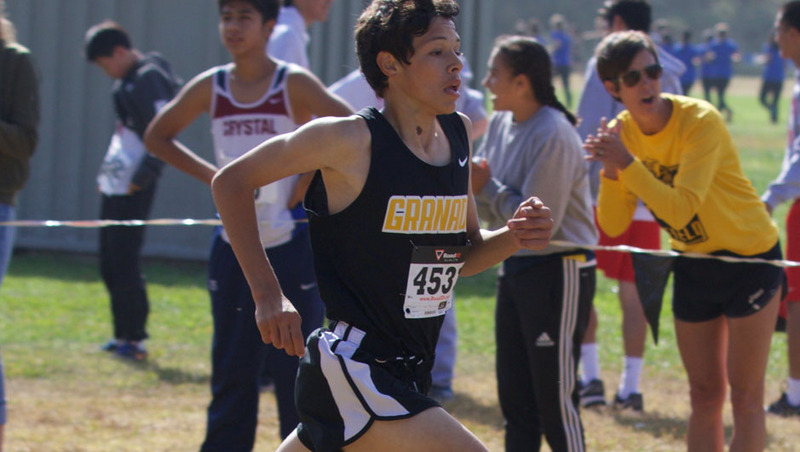 The third place finish by Tyler Hattori was devastating to the competition as he finished in 14:42. 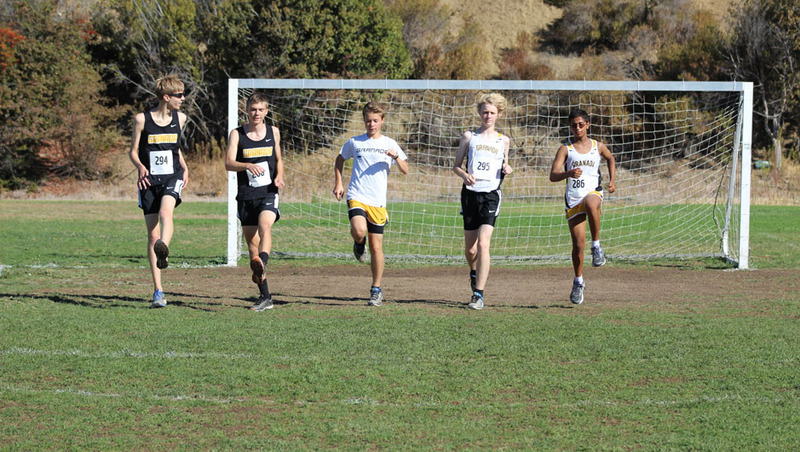 Cameron Meier, Seth Jeppson, and Julian Galicia-Thomas completed the scoring team with all three under 15:10. 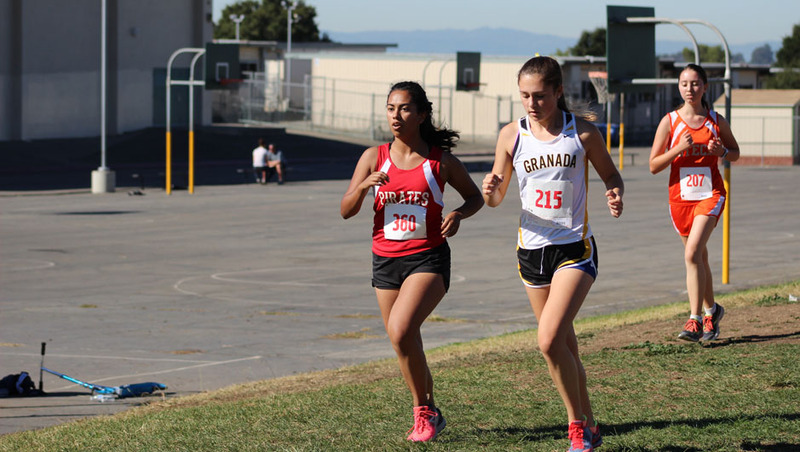 Kilday and Desai finished out the team placing 22nd and 26th, respectively. 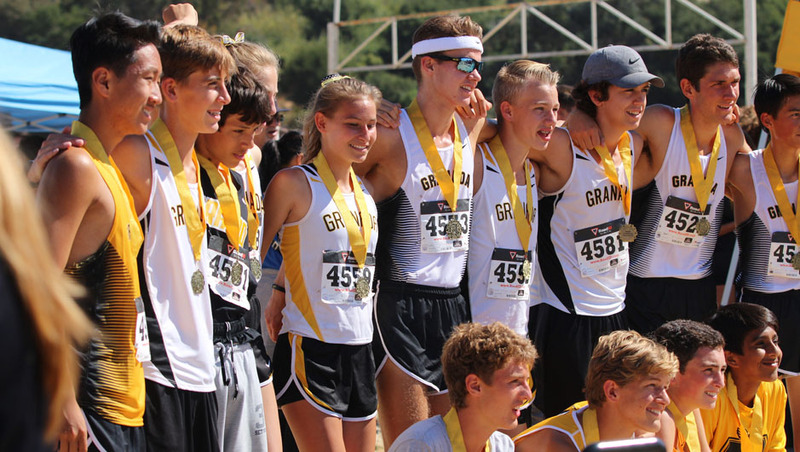 Their winning team time of 74:35, averaging 14:44 for 2.93 miles, is likely a course record or close to it. 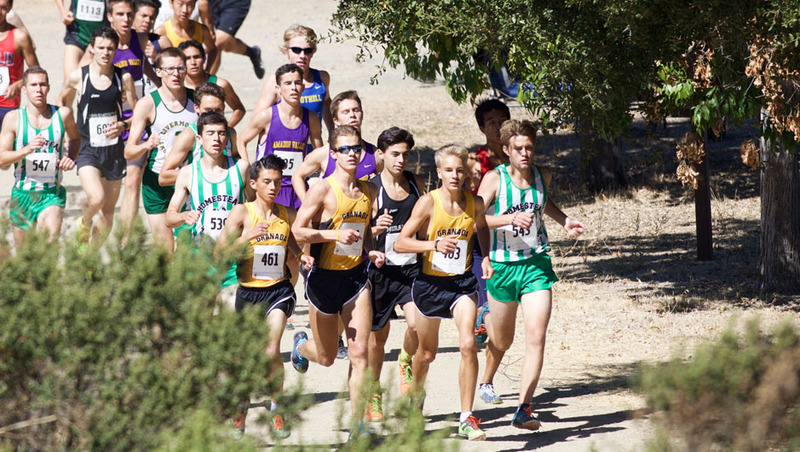 The boys finished a full minute ahead of 2nd place Palos Verdes and Bellarmine finished 5th. 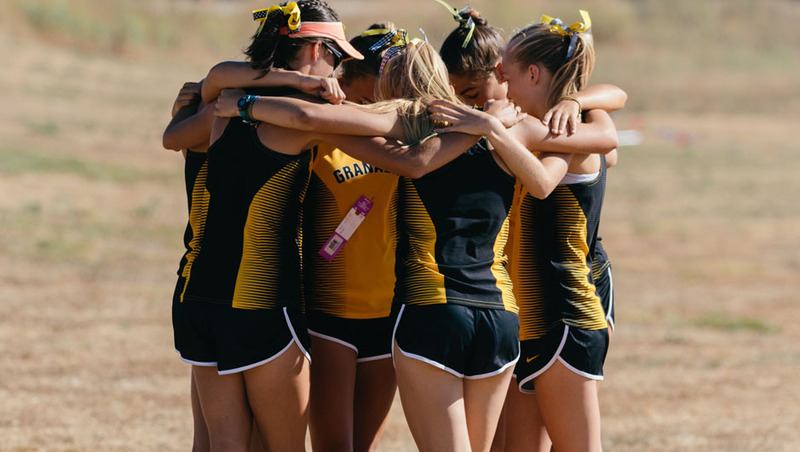 The Frosh-Soph girls was very exciting to watch with a great team battle between Granada and Granite Bay with our Matadors winning 30-55 (low score wins). 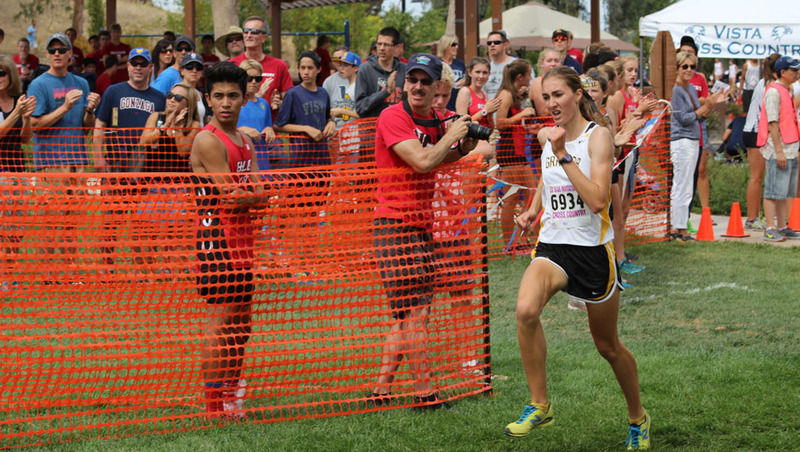 Shae Hill won the race with on all out sprint versus a GB girl. Top 50 finishers included: Giorgia Bates 4th, Brooke Eddy 6th, Shayleen Araya 8th, Kylie Neubauer 11th, Mina Thompson 22nd, Taylor Bond 24th, and Amaiah McIntosh 29th. Overall the girls were 1st of 22 schools with an average of 14:28. The Non-varsity girls had good day taking 5th of 21 schools. 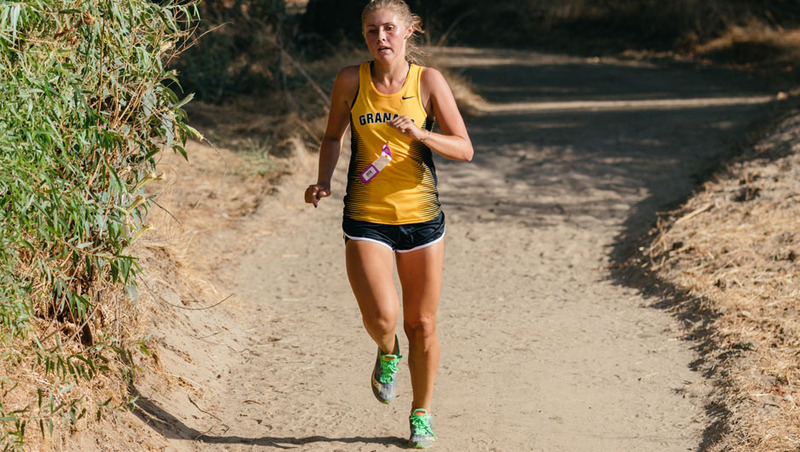 Clara Crittenden was the top Matador performer with a time of 20:53 for 8th place. Other Top 50 finishers included: Olivia Armstrong 33rd, Mya Voigtsberger 37th, Emily Bowles 38th, and Sydney Myers 40th. 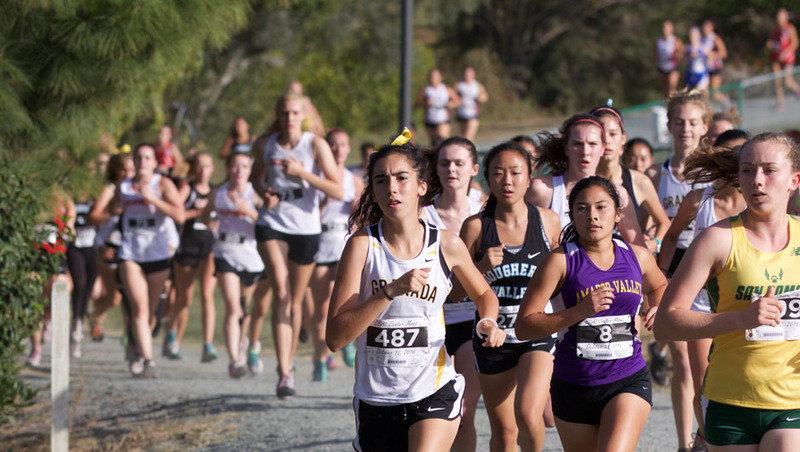 The Varsity girls had to face a big challenge from perennial powerhouse Palos Verdes who came up from Southern Section for the weekend. 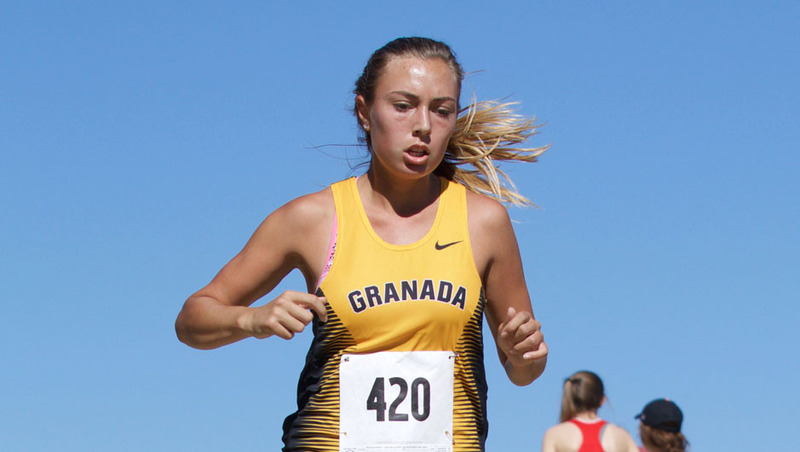 PV had the race winner in the race but they had no answer for Granada’s strong trio of Colleen McCandless, Kinga Bihari, and Gracie Dupuis whom finished in 2nd, 3rd, and 5th. 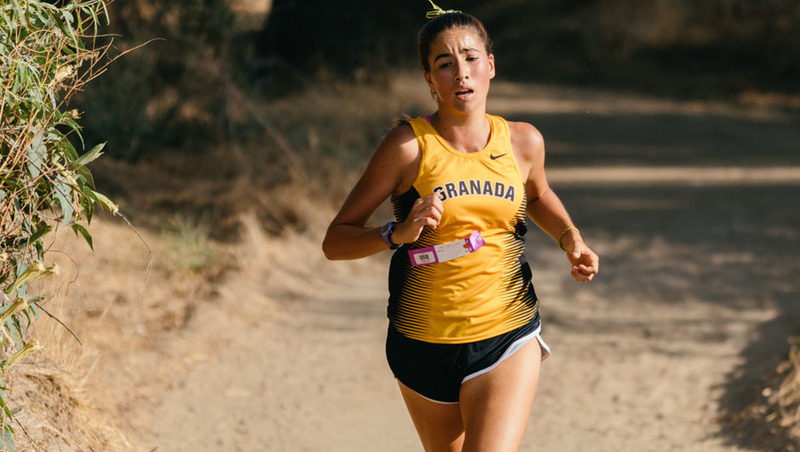 PV then came back with 12th-14th, but Paula Leigh finished in 15th and rookie sensation Isabella Romero finished in 16th. 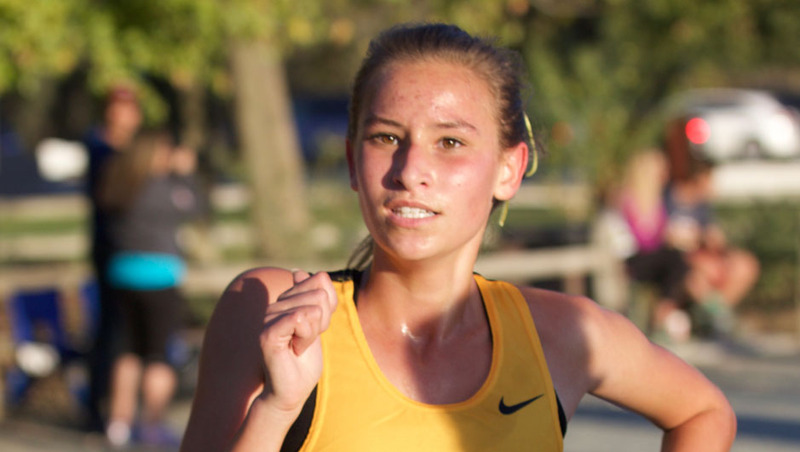 Kaylie Lawsen was also a top 50 finisher with a thirty second PR in 48th place. The girls team won with 41 points in what is likely a course record time of 89:12, an average of 17:50. Check out XCStats.com for all the race result info. Well after nearly a year of neglection, I’m recapping the championship part of 2016. 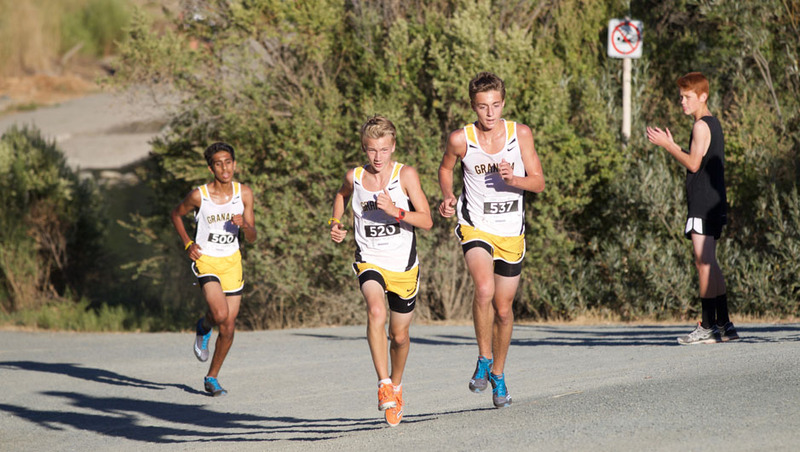 FS Boys won their race with a near perfect score as Cameron Meier won the race at Shadow Cliffs in 16:06. 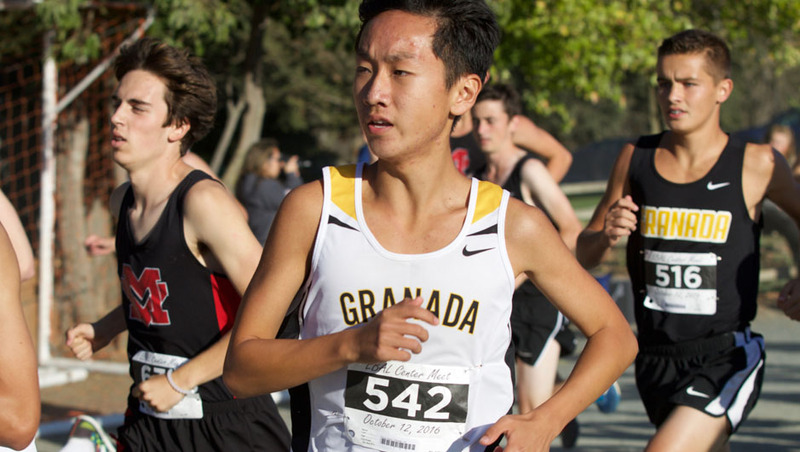 Runner-up Matthew Reddick finished just 2 seconds back, in third Seth Jeppson in 16:11, Julian Galicia-Thomas in fourth, and in sixth place Shlok Bansal. The top 5 scored just 16 points. JV Boys finished in third place behind the effort of Kevin Plant who was 5th overall. 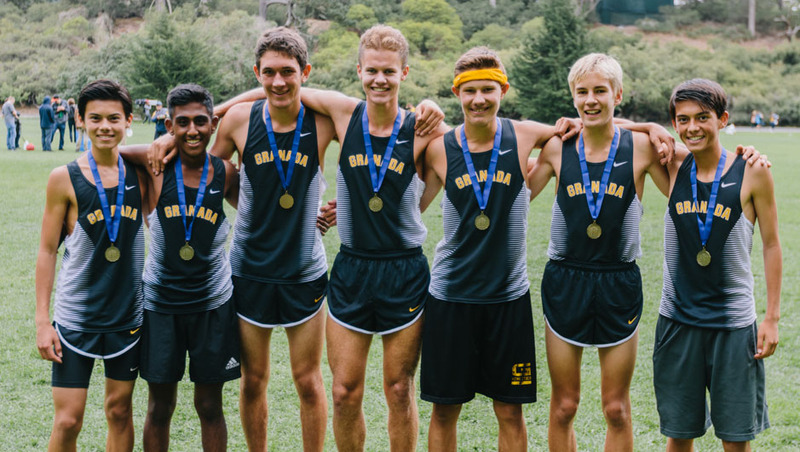 V Boys took also took third place behind the All-League first team performance of John Bennett and the All-League second team effort of Alex Hattori. 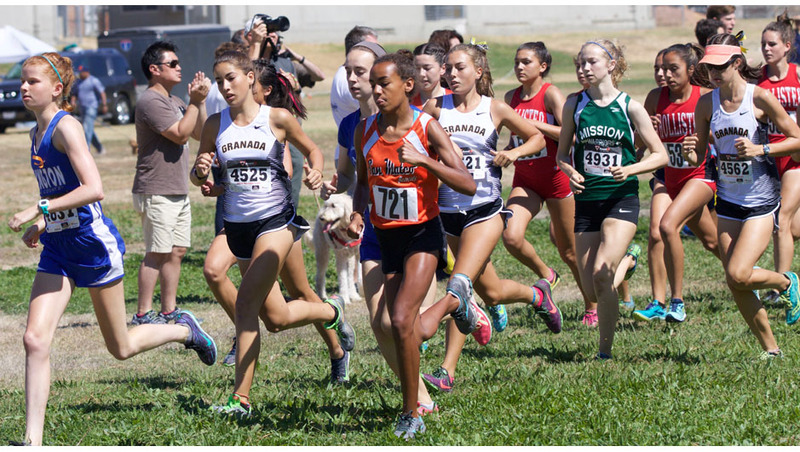 FS Girls took third place behind the top 10 efforts of Paula Leigh (3rd), Taylor Bond, (5th), and Giorgia Bates (9th). JV Girls finished again finishing with third place the girls rallied behind their top finisher Lexie Homen in 8th place. V Girls had an unexpected injury when Kinga Bihari fell during the warm-up which would eventually lead to an early end to her season. 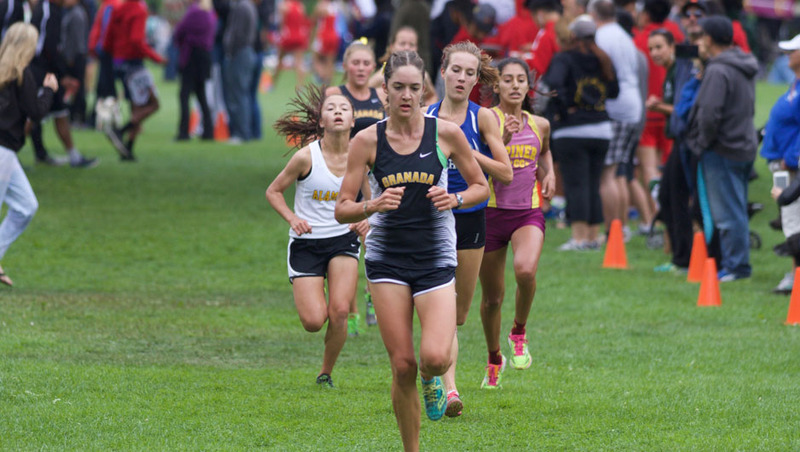 Regardless of the pain at the time, Kinga charged to a second place finish and lead the team to an impressive 31-point victory. 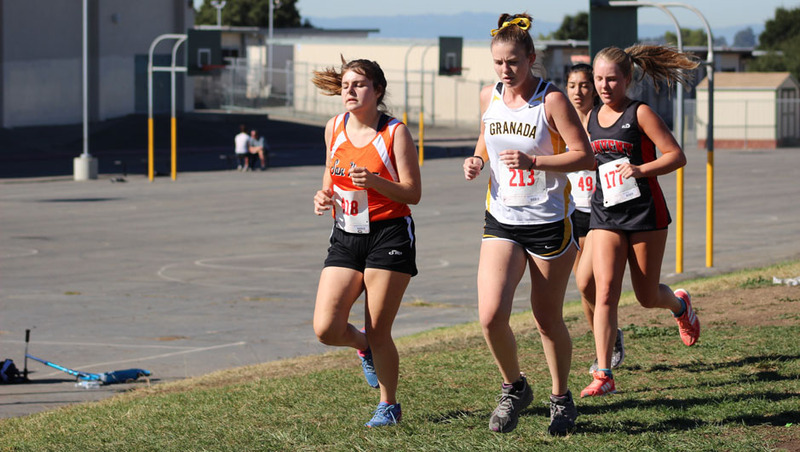 Other All-League first team finishers included Colleen McCandless in 3rd, Kalea Bartolotto in 5th, and Gracie Dupuis in 6th. V Boys had a tremendous day finishing in 3rd place and qualifying for the CIF State championships. 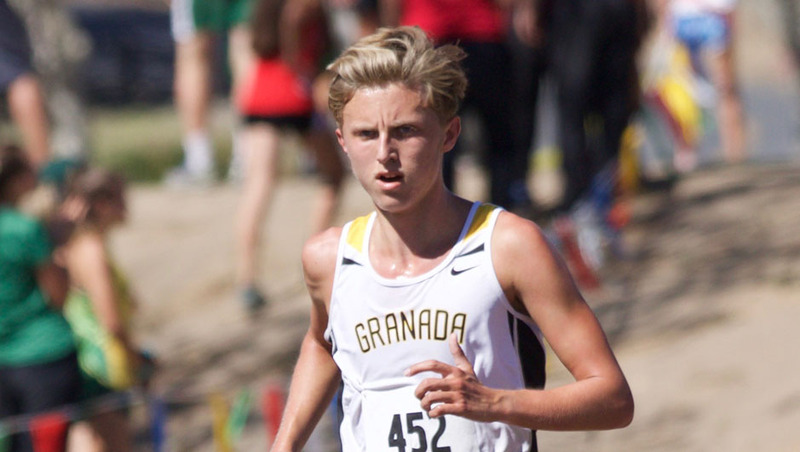 Bennett finished in 4th place and Cameron Priest ran a great race as Granada’s second runner finishing in 11th place in a time of 15:33. 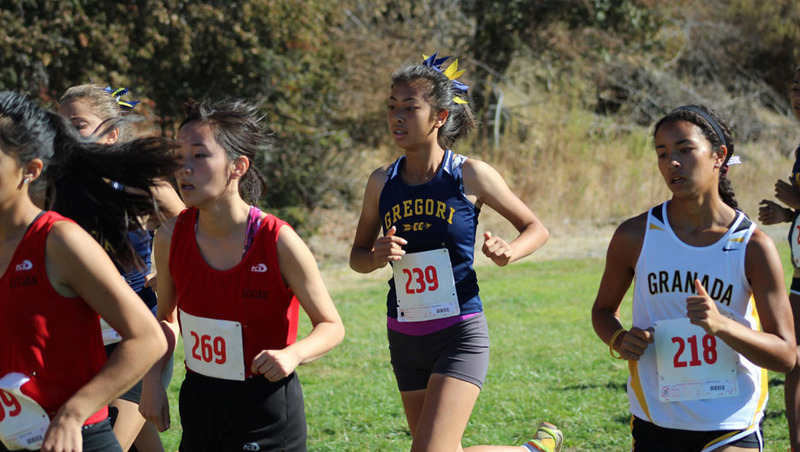 V Girls, without Bihari, had a terrific day, capturing a 5th NCS title in the last decade. McCandless took second again, Bartolotto in 5th, and Dupuis in 6th. 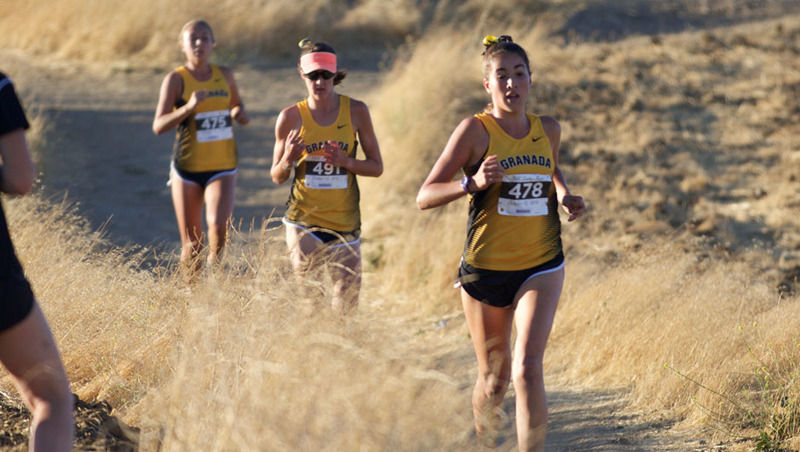 Kaylie Lawsen and Daisy Guinchard finished in 17th and 18th place respectively. The girls team won by 1 point over MV, 48-49. The boys finished in 13th place of the 23 schools with Bennett breaking the 16 minute barrier over the 3.1 mile course. 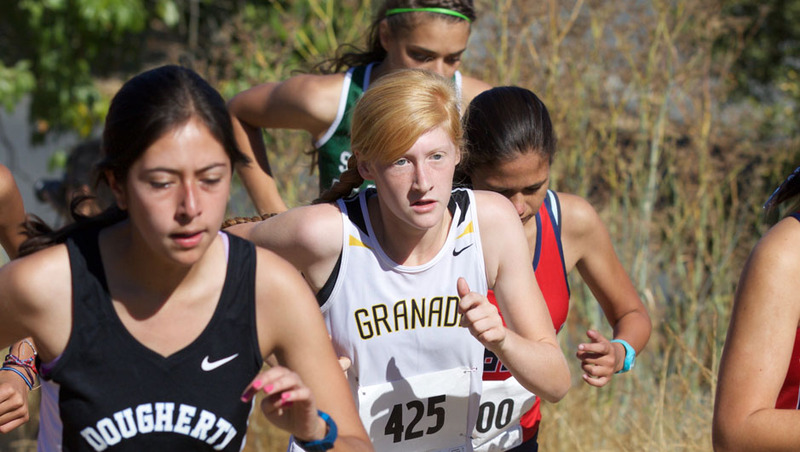 The girls finished in 12th place with Bartolotto finishing as the Matadors first runner.